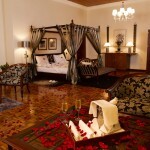 House of Waine is a hotel located in Nairobi, Kenya. This ancient mansion has been transformed into a lodge with rooms dedicated to one of the country’s regions and decorated with wooden furniture. The hotel has eleven double rooms. 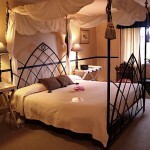 Each room has a large double bed and a bathroom with a shower, and the decorations vary in each room. Each room is dedicated to an aspect of the local culture. 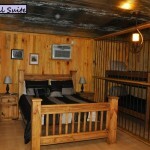 Nine of the rooms can be transformed into individual rooms, double rooms with one bed and double rooms with two beds. Each room has a large marble bathroom with a window. The bathrooms have a bathtub and a shower, and two of the rooms have only a bathtub. Makan is a room dedicated to the typical red chillis found in the region and is decorated in shades of red. This room can be connected to the Kanini room, a room decorated in lighter shades, to create a large family room. The Safari room is a room that has decorations similar to a lodge and a large traveller’s trunk next to the bed. The room next to it is Ziwa, a blue room that represents a lake. 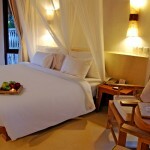 Malaika is a large suite with a double bed and a lounge area decorated in black. Tembo is a grey room that evokes one of the region’s animals, the elephant. 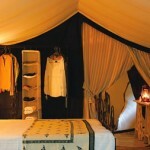 Manyatta is decorated with colours and material typical of the Maasai Mara tribe, black and red. 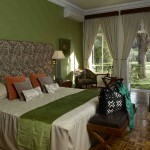 Bustani is a green room that has views towards the hotel’s garden. 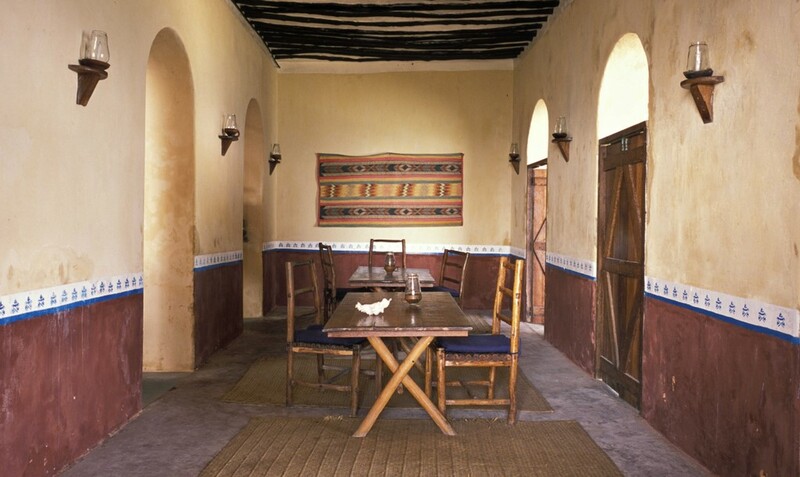 The Pwani room is a room decorated in the style of traditional seaside houses, with wicker chairs and wood furniture. The Sahara room has a large carpet the colour of the desert, two beds and a table. 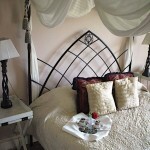 The Victoria room has an iron bed, a bathroom with a claw foot bathtub and a fireplace. Each room has a safe, tea and coffee machines and a television set. Fresh milk and freshly grounded coffee is delivered to each room before breakfast. There is a selection of pastries served at breakfast. Price is between 157 and 217€ per night. The hotel’s restaurant has views towards the garden. 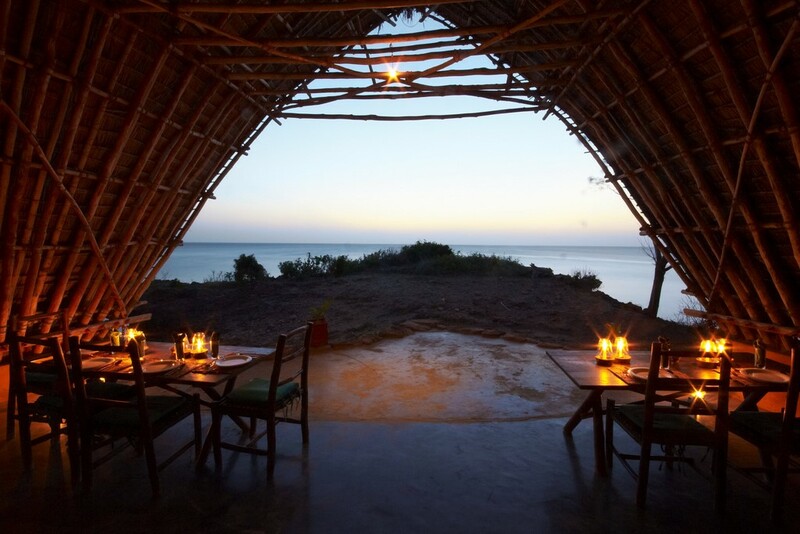 Guests will be able to enjoy traditional food made using local ingredients and ecological products. Guests will be able to try traditional dishes from several of the country’s regions. Guests can have their lunches and dinners at several places around the hotel’s territory, in the garden, next to the swimming pool and at two bars. 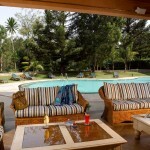 The Main Bar is the hotel’s most visited bar, and the Pool Bar is located next to the swimming pool. The hotel has its own heated pool. Guests will be able to relax in the pool and enjoy a cocktail at the bar. There are two conference halls at the hotel. These halls can be used for conferences and other types of private events. The hotel is located close to the city of Nairobi. This ancient mansion has gardens where guests will be able to enjoy walks. Guests can explore the city. 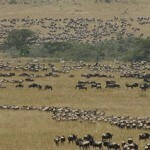 The hotel can organize safaris and tours around the regions, and guests can visit the nearby natural parks. Guided tours around the neighbourhood of Karen, where the hotel is located, are available for guests who stay at the hotel. The tours visit the Matbronze Art Gallery. The nearby streets are filled with shops, stalls selling traditional Kazuri trinkets and craft shops selling hand made pottery. The Giraffe Center is located a short distance away from the hotel, a place where guests can feed the giraffes and walk around the park. The Daphne Sheldrick Sanctuary is located nearby, and there are many elephants and rhinoceros on the territory of the sanctuary. 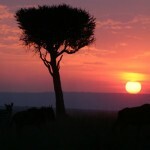 The Nairobi National Park is located next to the city. 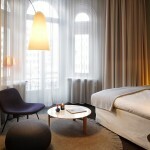 The Nobis Hotel is located in the center of Stockholm, in Sweden. This hotel has an ancient winding staircase that was built back when the building was used as a private mansion and later as a bank, and the rooms are covered in oak panels. The hotel has 201 rooms. There are several types of rooms, 69 standard rooms, 99 superior rooms, 22 deluxe rooms and 11 suites. 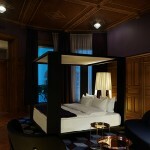 These designer rooms have origami lamps, dark furniture and thick oak panels. The hotel’s winding staircase has wrought iron handlebars. The hotel’s rooms have Internet access, a minibar and a multimedia sound system connected to a flat television screen. 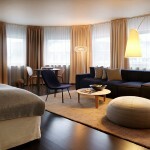 Each room has a desk with a designer chair and several table lamps. This hotel is an ecological hotel that was built using recyclable materials. 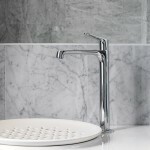 The bathrooms were built using Carrara marble. The designer sinks have chromed taps and there are bathrooms with a bathtub and bathrooms with a shower. 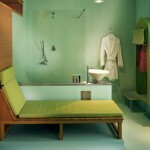 Bathrobes, bath products and slippers are provided in the bathrooms for each guest. The individual rooms have large beds, and there are rooms with views towards the hotel’s atrium and rooms with views towards the city. There are two types of standard double rooms, those with a queensize bed and those with a kingsize bed. Price is between 243 and 270€ per night. The Superior rooms have large double beds. 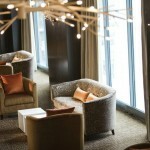 These rooms have a lounge area decorated with designer sofas and views towards the hotel’s atrium. Price is around 370€ per room per night. 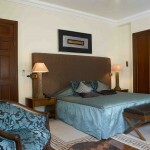 Each Deluxe room has a double bed and a lounge area with a sofa. Each room has a private bathroom with a bathtub and a shower. These rooms have views towards the Normalmstorg and the Berzelii Park. Price is around 464€ per night. The one bedroom suites have a double bed, a living room with sofas and a bathroom with a bathtub and a shower. Some of these rooms have views towards Berzelii Park. Guests who stay in these suites have access to the hotel’s VIP club. Price is 640€ per night. There are three Corner suites which are located on the corner of the buildings. These suites have beds larger than kingsize beds, a living room with sofas and several bathroom with bathtubs and showers. Guests will be able to enjoy views towards the Normalmstrong and the Berzelii Park, and guests who stay in these rooms have access to the hotel’s VIP club. These rooms cost 755€ per night. The Panorama suites are known for their views and their extra large beds, and these suites have a lounge area and a bathroom with a bathtub and a shower. Guests will have access to the VIP club. Price is around 1100€ per night. The Nobis Suite has two rooms decorated with wooden panels and ancient stucco. The suite has views towards Normalmstrong square and the atrium. The large suite can be connected to another suite to form a family suite. One of the rooms has a double bed and the other room is a living room with a dining table and sofas, and the bathroom has a bathtub and a shower. Guests who stay in this suite will have access to the VIP club, a complimentary breakfast, transport to and from the airport and fresh floors and fruit in each room for a price of 2900€ per night. The Caina is the hotel’s Italian restaurant. 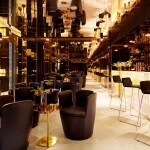 The Gold Bar and Lounge is a large bar where visitors will be able to enjoy cocktails with views towards the city center, and the lounge area is filled with locals. 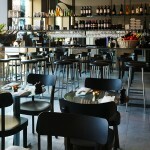 The Bistro is an Italian brasserie that serves meat. 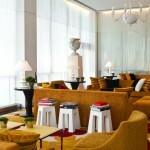 The hotel’s bars and lounges have a more traditional décor, with leather chairs and armchairs and wooden panels. The hotel’s gym is located on one of its floors. Next to it guests will find the hotel’s sauna, a traditional Swedish sauna where visitors will be able to relax. The hotel offers many services to its guests, and the hotel staff can organize transport from and to the airport, make reservations in clubs and restaurants and offer guided tours around the city. Guests have access to a personal shopper and VIP events. There are private rooms that are used as conference halls. Guests will be able to rent these venues, that used to be the conference rooms of a bank, for large events and celebrations. The conference halls are decorated with ancient oak panels and the ceilings are covered in stucco. There are five rooms and each room varies in size. The largest room can accommodate up to 28 guests, and the smallest conference rooms has a table with four chairs. For larger events guests will be able to use a private conference center located next to the hotel. The hotel is located on the Normalmstrong, in the center of Stockholm. The hotel’s buildings are ancient buildings that conserve each structure’s design. Near the hotel there are several art galleries and a short walk away from the hotel guests will find the city’s main landmarks. The medieval city of Gamla Stan and the Royal Palace are located nearby. A ferry ride across the bay will lead visitors to the National Museum. The pedestrian Biblioteksgatan is filled with boutique stores. The Palomar Hotel is located in Chicago, in the United States. This boutique hotel has rooms decorated with murals of the city, paintings of the Chicago World Fair and blues concerts. 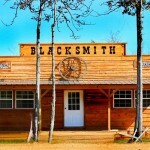 This boutique hotel has 261 historic double rooms and is decorated with art pieces and murals. The rooms have friezes decorated with bas reliefs of the Universal Expo that took place in this city. The rooms have Internet access, iPod docks, flat screen television sets, a minibar stocked with organic options, recycling bins and organic spa products. The bathrooms have bathrobes for each guest. The King Deluxe room have a kingsize bed, a desk with a chair and an armchair. The Queen Deluxe rooms have two large queensize bed, a desk with a chair and an armchair. These rooms cost around 224€ per night. The City View King Deluxe rooms are rooms with a kingsize bed and floor to ceiling windows with views towards the city center. The Double Double Deluxe rooms have two double beds. The King Spa Premier rooms have a kingsize double bed and a lounge area. The granite bathroom have a separate bathtub and a marble shower, and there is a large sink. The One Bedroom suites have a room with a kingsize bed and a separate living room. The living room is decorated with a sofa bed, a flat screen television set and a dining table with chairs. The granite bathroom has a separate bathtub and a marble shower. The Luxury One Bedroom suites are suites with three rooms. These rooms have large floor to ceiling windows with views towards the west side of the city. The bedroom has a kingsize bed and a flat screen television set. The living room has a sofa that can be used as a sofa bed and there is a dining table, several chairs and a television set. The bathrooms are made from granite and there is a Fiji bathtub. The Artist Suite has floor to ceiling windows and views towards the west side of the city. 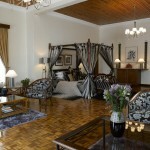 Each suite has three rooms, a room has a kingsize bed and a lounge, another room with a kingsize bed and a living room. The living room has a large sofa for five guests that can be used as a double bed, a desk with a chair and a flat screen television set. The granite bathroom has a bathtub. Price is around 500€ per night. The Portrait Suite has a large kingsize bed and a lounge area. The floor to ceiling windows have views towards the city and there is a granite bathroom with a bathtub and marble floors. The Portrait Suite is a large hall with floor to ceiling windows. There is a living room that can accommodate up to five guests that has a sofa bed and a dining hall with a table and six chairs. This suite can be connected to the Gallery Suite, forming a large one bedroom suite, and to the King Deluxe suite, forming a two bedroom suite. The Mosaic Suite is suite where guests will be able to celebrate events. The suite has a dining table with six chairs, two lounge areas and a bathroom. The suite can be connected to the King Spa Premier rooms, forming a large family suite. The Sable Kitchen and Bar is a bar and restaurant known for its international dishes. Coffee and tea are served in the afternoons in the lobby. Wine tasting are organized during the afternoons. 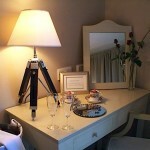 Guests will be able enjoy dinners in their rooms. 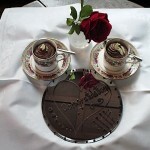 The hotel offers a themed catering service. Guests will be able to enjoy the Rhythm Buffet, the Harmony Buffet, the Watercolour Buffet and the Chicago Institute of Arts Buffet. The hotel has WiFi access, a gym and a swimming pool with a terrace. The lobby has a shop where visitors will be able to purchase essential items, food, suitcases and toothpaste. The hotel is adapted to guests will mobility issues. The hotel accepts pets and guests will not have to pay extra for them, and the hotel provides them with bowls and leashes. The hotel staff can connect two rooms to form a family rooms to guests who travel in a group. There are bathrobes for children and non alcoholic drinks are available for them. Guests will be able to enjoy spa treatments in their rooms. The spa products used at the hotel are organic. Pilates and yoga classes take place on the terrace next to the pool, and the hotel provides guests will yoga kits. The hotel participates in several projects that promote the arts. The CAPE project was created to promote and support the arts in public schools, and visitors will be able to see pieces of art created by local students. The hotel organizes art classes. The hotel’s halls are decorated with posters of the Blues Festival of Chicago. The hotel has several conference rooms. Guests will be able to celebrate their events at the Gallery Ballroom, the Abstract Ballroom decorated with paintings, the Mosaic Suite and the Portrait Suite. 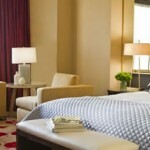 Those guests who have the Kimpton loyalty card will be able to customize their rooms during their stay. Kimpton guests have complimentary access to WiFi. The hotel is located in the River North neighbourhood of Chicago, north of the river. This area is known for its many art galleries and museums, and there are several main streets filled with restaurants and shops. Guests will be able to stroll along Michigan Avenue, where there are many bars, restaurants and shops. The hotel organizes jogging session and tours around the neighbourhood and a nearby park. The hotel follows an Art in Movement theme, and the hotel’s common areas, restaurants, rooms and suites are decorated with visual art. There are many paintings of the Chicago World Fair. The Hotel Hi Eco Resort and Spa is located in Nice, in France. This hotel has rooms decorated with designer furniture and a private beach. 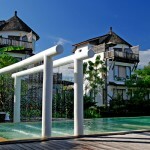 The boutique hotel is an ecological hotel that has nine types of rooms and 38 designer rooms. Each room has a double bed with a private bathroom and views towards the city, and each room has one of the hotel’s nine designs. The Techno Corner rooms are designed in the style of private viewing rooms. There is a large television screen that can be watched from the bathtub and the bed. The sofablaster is a sofa with integrated loudspeakers and headphones, and the armrest has a selection of CDs. The Happy Day rooms change each afternoon. During midday each room has a sofa where guests will be able to relax and are decorated in light woods and bright greens, and during the afternoon the panels behind the sofa glide to reveal a double bed decorated in pink. Each rooms provides slippers and water for guests. The Up and Down room is a duplex room decorated with chestnut furniture. The lower floor is a large living and the upper floor has a large double bed. Behind a large chestnut wardrobe guests will find the bathroom. 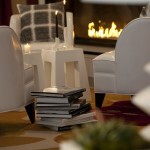 White and White are large white rooms where each piece of furniture is not used in a traditional way. The table is the bed, the bed is the bathtub and the ceiling is fuchsia. This rooms is filled with organic products. In the Indoor Terrace rooms the furniture is located in the center of the room, and the rest of the room is used as a terrace with wooden floors. 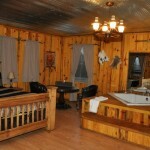 The bathrooms are located inside a cabin in the room. The Digital rooms are decorated with several graphic design themes dedicated to cyberculture. There are large pixels on the room’s surface and the furniture has the shape of desktop icons. In the center of the room there is a box that changes its colour. The Rendez Vous rooms are modular rooms. The space can be rearranged into a bathroom with a lounge and a desk area with desk and chair. Each room has a private terrace. Monospace are rooms that have three sections, and each section is decorated in one colour. Each section is dedicated to one function, and one of the sections is for relaxing and another one is for comfort. The Strates rooms are designer rooms decorated with coloured panels. The shower cabin is transparent, and bright red stairs lead to the double room. 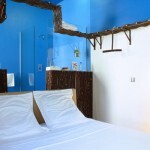 The Happy Day, Monospace and Up and Down rooms cost around 269€ per night. The Digital, Strates and Techno Corner rooms cost 309€ per night. The Indoor Terrasse has a price of 369€ per night. 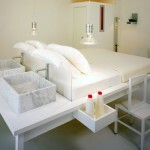 The Rendez Vous and White and White have a price of 489€ per night. 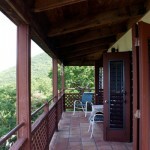 Price includes an organic buffet breakfast at the hotel, Internet access and use of the spa area. The hotel has a bar and a restaurant. The Happy Bar is the hotel’s epicentre, and has views towards the hotel’s gardens and the street. DJ’s and group perform each afternoon at the bar. 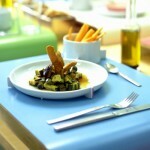 The Cantine Bio is a restaurant where visitors will be able to enjoy dishes made using organic ingredients. 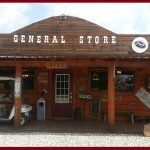 The restaurant offer breakfast, lunch, dinner and brunches. There are vegetarian menus and a sushi bar. The restaurant is decorated in bright colours. Guests will be able to enjoy their meals in the garden. 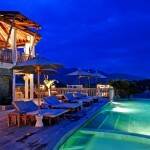 The hotel has a private beach and a terrace with views towards the sea. The Hi Beach has colourful hammocks for guests. The terrace, which has three parts and each part has a theme, has access to the beach. Guests will be able to enjoy many spa treatments at the Hi Body spa. There are massages and relaxing treatments. The spa has a steam room and two chamber hammam that is connected to a lounge where guests will be able to relax before heading to the massage room. Next to the spa there is a shop. Events can be organized at the Happy Bar. The bar has its own large screen and a projector for when the hotel organizes themed movie nights. The hotel is located in the center of Nice, a short distance away from the Promenade des Anglais. Guests will be able to visit the beach and the city’s main landmarks. 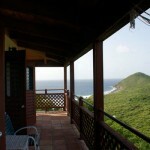 The Concordia Eco Resort is located on the island St.John’s, in the United States Virgin Islands in the Caribbean. 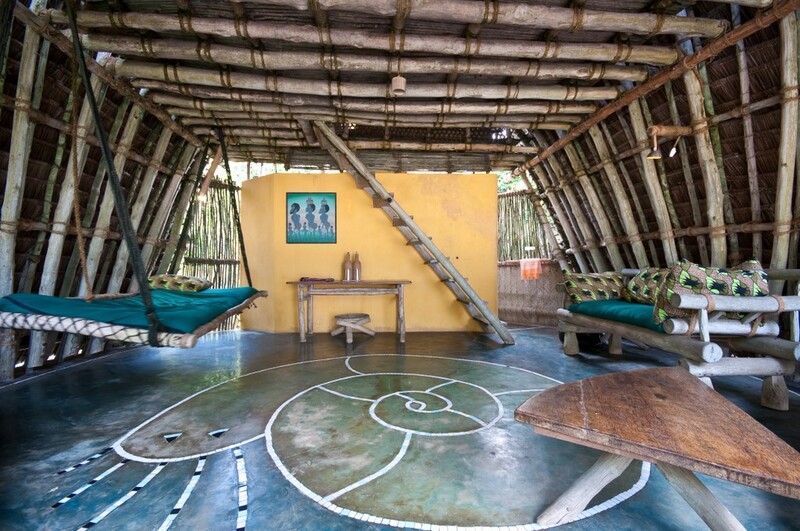 This ecological resort has tents decorated in a traditional Caribbean style. The eco resort has tents equipped with solar panels. 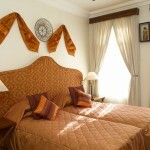 The hotel has several studios where the rooms are decorated with traditional local furniture. 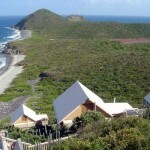 The 25 tents are ecological and the nine studio suites are located on a hill on the hotel grounds. Each tent has solar panels and a wooden structure. 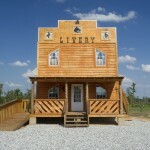 There is a kitchen, a loft room with several beds and a large bathroom powered by solar energy. The terrace of each tent has views towards the sea. Several of the studios are duplex studios located in the hotel’s main building. 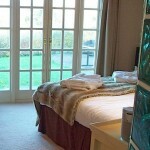 The studios are double rooms with a double bed and a private bathroom. Biodegradable products are used in the bathrooms. The Eco Tents are fifteen tents that have the shape of tree houses located on a hill. 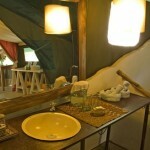 Each tent has its own bathroom with a shower, a kitchen with a fridge and a large terrace. The rooms have ventilators. These tents can accommodate up to six people. 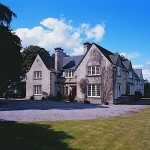 Price is between 87 and 131€ per night. 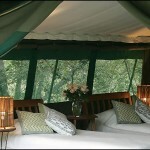 The Premium Eco Tents are ten independent tents. These rooms have views towards Drunk Bay and Salt Point Bay. One of these tents was designed for guests with mobility issues. Each tent has a large double room. Price is between 100 and 155€ per night. 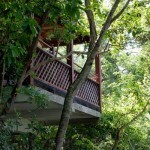 There are eight EcoStudio rooms that can accommodate up to four people. There is a queensize bed and a sofa bed that can be converted into a double bed. The bathroom and the kitchen are decorated with recycled glass and are solar powered. These rooms have several designs based on local traditions and have views towards the ocean. Price is between 131 and 203€ per night. There are several types of studios. The Duplex Loft are two storey studios with a room with a queensize bed, a living room with a queensize sofa bed and two bathrooms. The Deluxe studios have a room with a queensize bed, a bathroom and a kitchen. The Superior Efficiency rooms have have a queensize bed, a bathroom and a small kitchen. These rooms are located next to the hotel’s swimming pool and have views towards the ocean. Price is between 95 and 203€ per night. The Café Concordia serves breakfast, brunches, aperitifs and dinners. 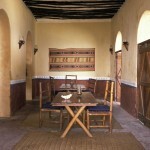 Guests will be able to enjoy traditional regional dishes made using fresh organic ingredients. Guests who travel with a group will be able to rent part of the hotel and the hotel’s pavilion, and there are discounts for breakfasts, lunches and dinners. The hotel offers picnic baskets. The hotel has a swimming pool where visitors will be able to relax. There is a shop that sells suncream and towels, and the hotel has a massage parlour. Guests will be able to enjoy yoga and other activities offered in the hotel’s pavilion. 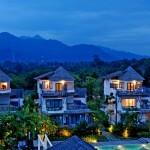 Yoga retreats take place at this hotel. Guests will be able to rent their snorkel equipments and snorkel along the shore, filled with colourful fish. The hotel organizes cultural evenings and performances are held at the pavilion. One of the hotel’s main activities is the crab races. Each guests will be able to choose a hermit crab and watch it race the other crabs. There are several boardgames and newspapers available for guests. Guests who want to immerse themselves in local culture will be able to crochet and knit following the local tradition. There is a pavilion on the hotel’s territory where guests will be able to celebrate events, and the pavilion can be rented for larger celebrations. The pavilion can accommodate up to sixty people, and there are tables, chairs, a microphone and a projector. There are docks for iPods and a DJ’s cabin. The are two places with WiFi at the hotel. There is a business center where visitors will be able to use the printer. The hotel can organize a transport service to and from the airport. The hotel is located on a hill on St. John’s island. This ecological hotel has views towards the ocean, and guests will be able to relax on the nearby beaches, located near the Virgin Islands National Park. St. John’s is known for its beaches. The Salt Pong Bay and the White Sand Beach are located a short distance away from the hotel, following the Nature Trail. Guests will be able to rent snorkel equipment and dive. Boats can be rented to explore the nearby islands. 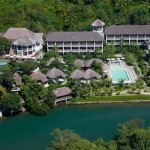 The hotel can organize kayak trips and scuba diving trips. The hotel offers boat tours to nearby islands. The Chumbe Island Coral Park is located on the island of Chumbe, near the coast of Zanzibar, in Tanzania. 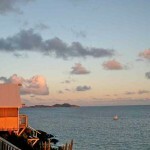 This eco lodge has several ecological bungalows on an island that is a natural reserve. 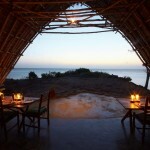 This natural reserve has an eco lodge. 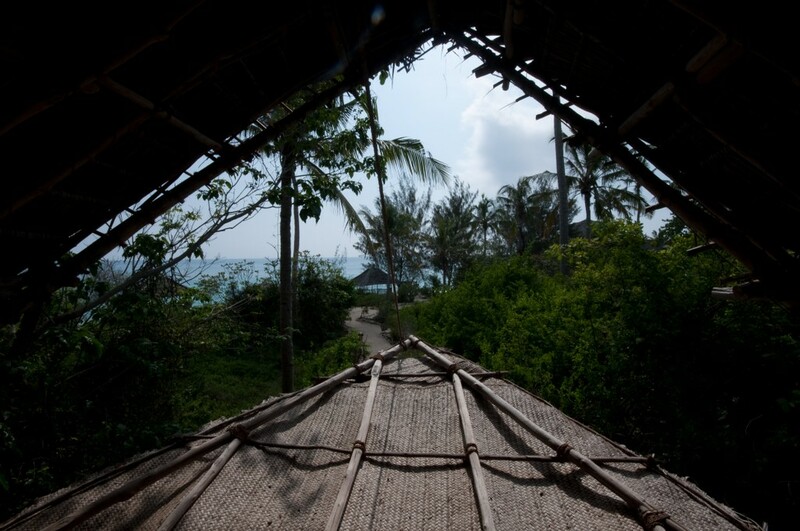 There are seven bungalows on the island, each one of them built using ecological materials. 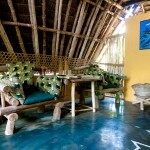 There are rooms with twin beds and rooms with double beds located under palm thatched roofs. In each bathroom there is a bathtub and a shower. 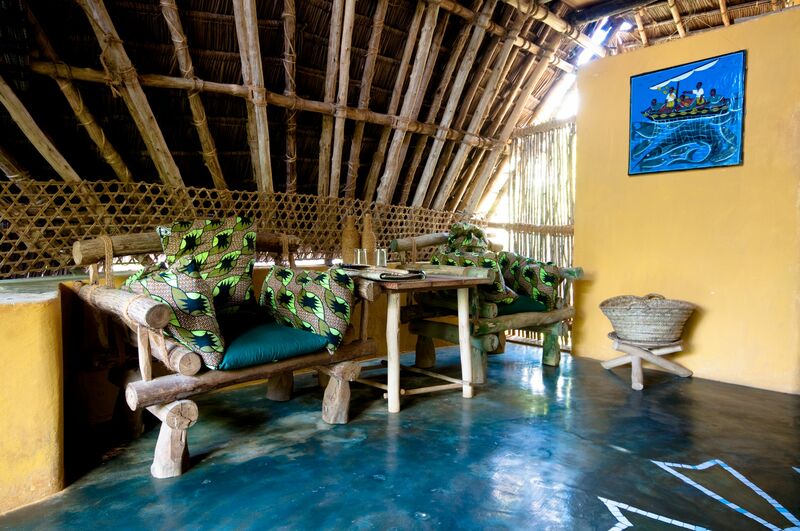 The living room is decorated with handmade furniture, African art and colour. 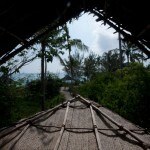 The terrace of each bungalow has hammocks and the bungalows have views towards the ocean. The bungalows are private and have their own garden near the coast. 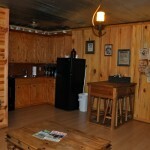 The rooms are decorated with furniture made from local materials. Price is between 204 and 330€ per night. 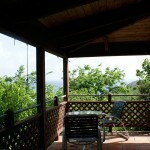 Price includes non alcoholic beverages, food, the fee for the natural park and guided tours around the island. Guests will be able to snorkel using the hotel’s equipment and there is a boat that connects the hotel to the mainland. Each bungalow has a specially designed roof that collects rain water. There is a filtration system in the cisterns located under each bungalow, and waste water passes through another filter to avoid contaminating the island’s corral reefs. The bathrooms are self contained. Each bungalow has solar panels on the roof that provide the bungalows with light. There is organic soap in the bathrooms that was made by a cooperative of local women. Non organic waste is recycled on the nearby island of Unguja. The hotel’s restaurant serves dishes made using local ingredients. Guests will be able to enjoy international and Swahili cuisine. There is mineral and purified water and a juice bar. 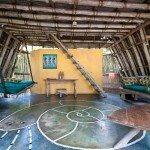 The eco lodge was built using ecological materials. The bungalows can collect their own rainwater and there are solar panels providing the hotel with photo voltaic energy used for heating. Water is filtered and the bathrooms are ecological. The natural park located on the island supports eco tourism and there are several projects designed to protect the coral reefs. The hotel cooperates with local charities. The presence of many nocturnal creatures means that there are no street lights on the island. Guests will be able to use smaller, solar energy charged, portable lights located in their rooms if they want to enjoy a walk. 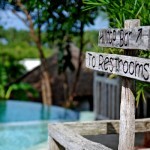 The hotel is located on Chombe Island, an uninhabited island near the coast of Zanzibar. 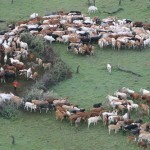 The corral island is a natural reserve with ecological lodges. The hotel offers several guided tours around the island during which guests will be able to see how local species are protected and see the Ader’s duiker, an endemic type of antelope. Part of the island is a protected nature reserve where coco tree crabs and more than 64 local birds live. Guests will be able to walk around the island and visit the historical ruins. The guides are local and the hotel has several projects that promote the significance of preserving the reserve amongst locals. There is a coral reef sanctuary on the island. During the guided tours guests will be able to dive and see the local fish. The crest of the reef is between one and three meters deep, and those guests who enjoy snorkel will be able to explore the reef. Barracudas, dolphins and sting rays can be seen in this region. Hawksbill sea turtles and parrotfish can be seen near the reef. Lobsters can be seen in the coral reefs and there is a large potato grouper that lives in a cave. During low tide small lagoons are formed near the coast and guests will be able to see crabs, ousters, star fish and small fish. Guests will be able to relax under the baobab. 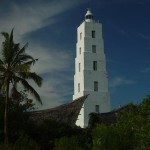 Chumbe lighthouse, built by the sultan of Zanzibar, is located on the island. 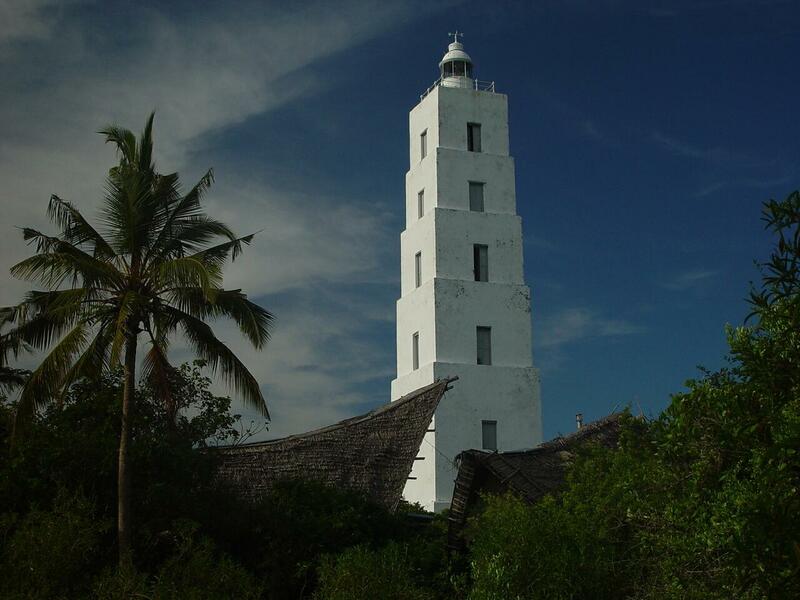 From the top of the lighthouse, which has 131 stairs, guests will be able to enjoy views towards the island and the sea between Tanzania and Zanzibar. The ancient lighthouse guard’s house is now a visitors center and guests will be able to visit the mosque, the only Indian style mosque on the island. The ruins have views towards the ocean.